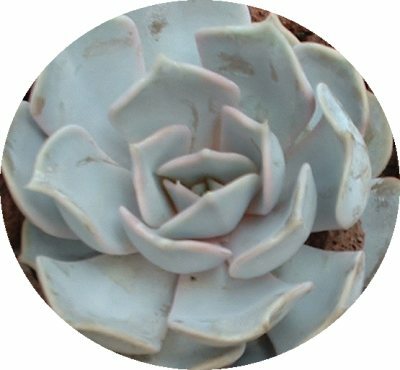 Echeveria runyonii has a lovely pale silvery rosette form, with loose arrow shaped foliage. It's been used to make some very pretty hybrids. The tapering leaves curve to form a cup shape, which is different and very pretty in combination with other more open and colourful varieties such as Echeveria racemosa atropurpurea ‘Brown Sugar’, Echeveria ‘Chocolate Ruffles’ and Echeveria ‘Harry Watson’. Make a mosaic mixing all these for an exceptionally beautiful focal point. Echeveria runyonii is the species parent of many nice hybrids including Echeveria runyonii ‘Topsy Turvy’, Echeveria runyonii ‘Rose V. Macabeano’ and Echeveria runyonii ‘Silver Onion’, all beautiful in their own right.